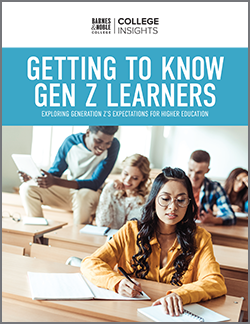 When looking for the right school, college students prioritize cost over other social factors like family history or extracurricular activities, according to a new study released from Barnes & Noble College and Money. Parents of graduates and parents of current students were less likely to eliminate colleges based on price compared to today’s financially-conscious college seekers. 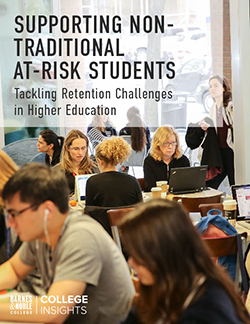 For colleges trying to stay competitive, these implications are invaluable in order to attract and inform new students. 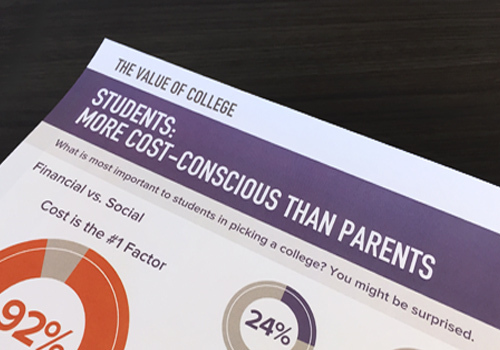 This is just a snapshot of the eye-catching findings uncovered through Barnes & Noble College’s “Value of College” Study, conducted as part of the Company’s College Insights platform, which regularly taps into its network of more than 10,000 students, parents and faculty to better understand the thinking, behaviors and expectations of current and future college students and other constituencies. The research explored everything from the value of college versus the cost, to the realities of life after graduation.